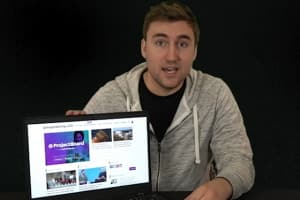 Last fall, I had the opportunity to try out the Lenovo ThinkStation P300 for a few days (see full review). 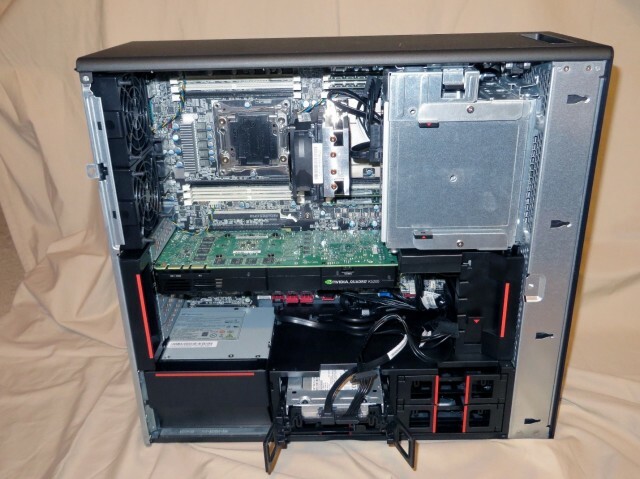 In the section below, where I post benchmarking results, I compare the new P700 (Figure 1) to both the P300 I tested last year and the Dell OptiPlex 790, which is still my stock daily-use computer at the office. For Lenovo, the model number is an indication of the performance, with the P300 and P900 spanning the full performance range from lowest to highest. If you'd like to see the way the specifications differ across the range, head to their website. Lenovo’s packaging is consistently good. This machine was easy to unbox, and it was simple to conserve the foam inserts and other materials for reuse when I send it back following my review. Some packing materials open up okay, but trying to fit them back in as they came is never quite as easy as it would seem, especially the hard Styrofoam buffers that break and leave particles everywhere. Thankfully, that was not the case this time. The tower measures 6.9 in. x 17.3 in. x 18.5 in. In addition to the case, it included a power cable, USB mouse, USB keyboard, and setup guide (which includes safety and warranty information), but no Windows media discs. Manufacturers rarely include recovery disks anymore; usually, you need to make your own after starting up the computer for the first time. There was a pamphlet inside explaining Lenovo’s conservation efforts with regard to shipping unnecessary materials, such as Windows installation discs, along with instructions for obtaining Windows 8 disc. 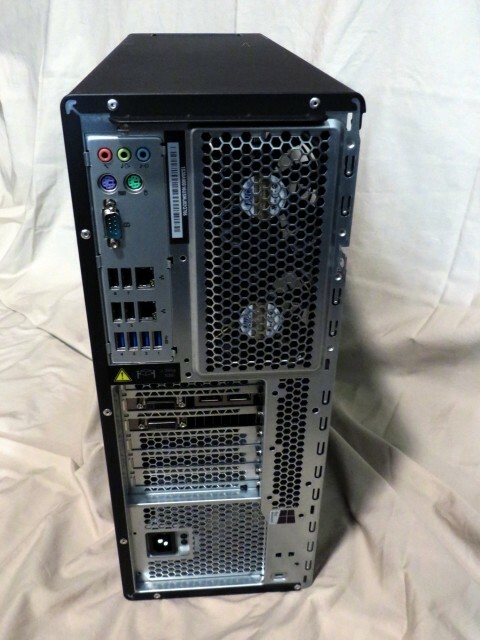 In addition to these specs, there are multiple options available from Lenovo for individual configurations, and the tower has plenty of space to add more hard drives and RAM. Of the customization options, the most popular ones are likely to be processors (1.6GHz or 2.6GHz), monitors (choice of 23 in., 24 in. or 28 in. LED), power supply (650W or 850W) and a media card drive (9 in 1 media card reader or 29 in 1). Higher capacity power supplies are required to run newer, more energy hungry elements, such as very high end graphics boards, so starting with 650W is a good move by Lenovo and I was pleased to see the 850W installed for my review. 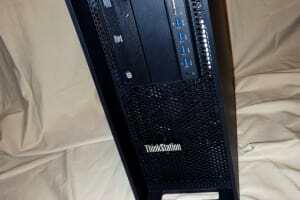 The majority of users would hardly be impeded if a workstation came with only a 450 watt power supply, as the P300 does, but it pays to go the extra mile when you’re looking at investing in a good workhorse that otherwise meets all your requirements. Plus, it’s nice to have options. The P700 arrived with Windows 7 x64 Service Pack 1 installed. While I really would have liked to try a touchscreen monitor with Windows 8 or higher, Windows 7 is a known quantity for both AutoCAD 2014 and me. Before looking at workstations, know what OS and programs you plan to run on them and try to ensure compatibility. Since I am testing Autodesk software, I checked the approved devices. Not only is this a good idea with regard to performance and troubleshooting, it might be necessary to convince your IT department to spring for "non-standard" hardware. In this case I am a bad reviewer for using 2014 software, as the NVDIA 5200 is certified for 2016 but not for 2014. Some users look for an HDMI port that lets them use a television in place of a monitor. Luckily, I still had the DVI cable I'd purchased for my last Lenovo review, so I was able to hook up the workstation to the monitor in our home office with no trouble. I’ll admit that DisplayPort is superior to HDMI, due to its ability to handle higher resolutions and more monitors at once. Should you wish, you can customize your build and have an HDMI dongle included for around $30. There are four USB ports on the front, as well as four USB 3.0 and four USB 2.0 ports on the rear (Figure 2), which should be more than enough for all of your peripheral needs. 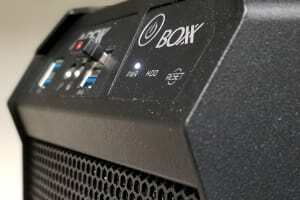 Audio inputs and outputs are available on both the front and back. The P700 case is even easier to access than the P300. There are no screws to deal with; you just pull a lever to release the side of the case. There is plenty of room inside for airflow and additional components (Figure 3). On startup, the machine quietly hummed with very little noise. In order to emulate my everyday experience, I installed Autodesk Design Suite Premium 2014, with all software packages selected (including the programming tutorials, but only the Imperial template files for each). It took me five minutes to walk through the installation configuration, and then another 40 minutes to install the 61 components. 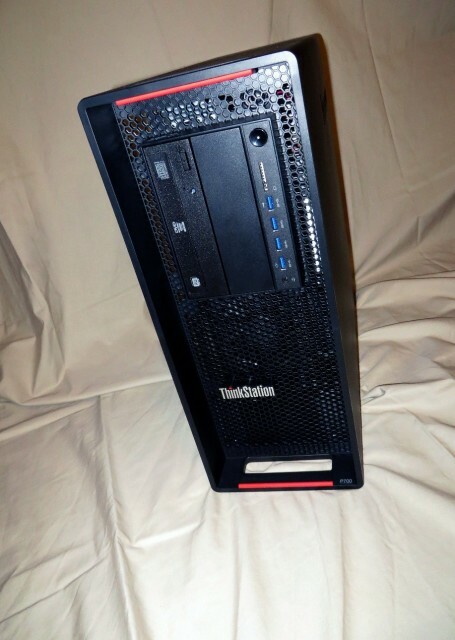 I will be comparing this new workstation with my daily-use desktop computer, a Dell OptiPlex 790 that also runs 64-bit Windows 7, but with 4GB RAM, and the Lenovo ThinkStation P300, with 8GB of RAM. All three have AutoCAD 2014 installed with the same options on Windows 7. While this is not an apples-to-apples comparison — obviously the specs span a wide range — it should give you a good idea of how the components affect performance. The simplest way to compare systems is through the Windows Experience Index. When looking at the WEI, it is important to keep in mind that the given number reflects the lowest scoring category, so be sure to click for more details (Table 3). The scale runs from 1.0 to 7.9, the higher the score the better the performance. In workstations these days, I prefer to see solid-state drives, even in mid- to high-range laptops. 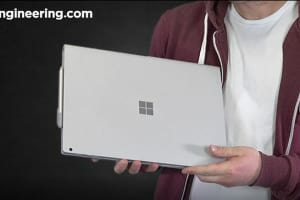 (If not a full SSD, then at least a hybrid drive, where a small-capacity SSD speeds up the operating system to improve startup performance, and then a standard "spinning" hard drive for the remainder of your storage needs.) Unfortunately, cost is usually a consideration, and some options translate to much higher price tags, so you'll have to balance your priorities against your budget. If you need to be convinced, however, check out the difference in disk data transfer rates in the tables above. As far as I know, Revit does not have any internal testing capabilities, so I do not have any specific numbers to compare for that application. If you want to try a Revit benchmark yourself, there is one available for download on RevitForum (there are older versions available on the same forum site, if you aren’t using 2016 yet). AutoCAD, however, does have some internal testing capability. There is an undocumented application that accompanies the AutoCAD family of products, called GsTest.arx. Use the AppLoad command to load it, and then type “GsTestBenchmark.” It only takes a moment to run, then displays the results in the Command Line interface. Lower milliseconds and higher frames-per-second indicate better results. Don’t forget to set the performance tuner in AutoCAD. It could improve your results by a noticeable amount. If you haven’t done this yet, right click the Hardware Acceleration button on the Status Bar. That will bring up the Graphics Performance dialog box where you can turn on Hardware Acceleration and experiment with different graphics settings. You might notice that the P300 has slightly better numbers than the P700. Both machines perform really well, and their results only vary 5-6 percent in relation to the OptiPlex’s slower numbers, so I am not too concerned about the difference. For those folks who perform renderings and want some assurance on the more robust workstation’s performance in that area, I used Maxon's Cinebench Version 15.0 benchmark to compare capabilities. The P700 is clearly the better performer in terms of rendering capability (independent of AutoCAD). I happily endorsed the Lenovo P300 workstation last year. It was a solid machine with good performance, even if it did leave a few of my personal preferences unfulfilled. But the P700, at around $5,988, more than delivers on everything that I consider essential in performance and flexibility, and I am much more enthusiastic and unreserved about my recommendation this time around. 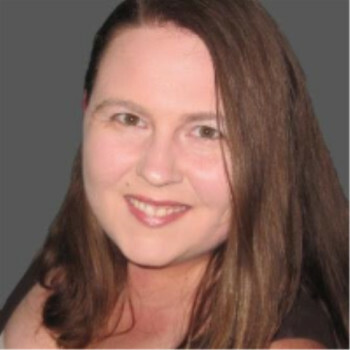 Melanie Perry is a freelance technical editor and an ARCHIBUS system administrator for the facilities group of a financial services firm. She also blogs about AutoCAD with facility management and conducts the annual salary survey for AUGIWorld Magazine. She can be found on Twitter at @MistresDorkness.